How to prepare your tech for a night out to a bar in a foreign country. You’ve been pressured into going out to that trendy biker bar in Cape Town, South Africa by the rowdy Aussie hostel-mate that you’ve known for only thirty minutes. You have apprehensions about going since you’ve just landed on this continent for the first time EVER earlier this afternoon. You’ve just spent 30 hours in transit, having flown half way across the globe- should you go out to the bar? You YOLO rather than YODO so you say, YES of course! Now, how can you prepare for your night out? Next, since you’re already having a difficult time adjusting to the heavily accented South African English spoken here, you decide to play it safe by installing Afrikaans, the other official language. You open up Google Translate (Google Play | Apple Appstore) and go to the settings and see that you can download the offline language pack. Now, you can translate to and from Afrikaans even without an internet connection- sweet! Just as important, you confirm that the Uber taxi app (Google Play | Apple Appstore) you use at home should work here in Cape Town. 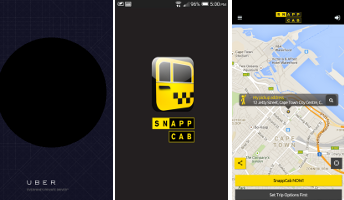 In case you cannot get a taxi through Uber, you decide to install the local taxi app as well: Snappcab app (Google Play | Apple Appstore). And then you look for apps that make you feel like you’re officially a traveller, travelling in South Africa in fact. Let’s see, there’s the Cape Town City Guide app (Google Play | Apple Appstore), an offline version of Tripadvisor for this city. This will be handy to find other bars and clubs in case the first one doesn’t work out. And then there’s the Zulu Phrases app (Google Play), because where else can you possible use this app than here? There’s the 8500 Drink Recipes app (Google Play | Apple Appstore), because you like to try new drinks all the time. And then there’s the Red Panic Button app (Google Play | Apple Appstore1), because all you need to do is click a button in case of extreme emergency which will instantly send an alert with your exact coordinates to whomever you choose. It’s red, its a button, very simple to use. Finally, you go out to the nearest Vodacom or MTN mobile store and register to buy a SIM card and get your very own local South African phone number. You load it with enough credit and subscribe to a mobile internet plan that gives you 1 gb data for 149 ZAR ($14 USD). The Vodacom staff informs you that they have a handy app that let’s you check your balance and remaining data (Google Play | Apple Appstore). You decide after checking out the ratings that others have left about the app that it’s not worth your time to install it. You go back to your hostel and plug in a few more contact numbers ( Your Embassy’s 24 hour number, Hostel’s 24 hour front desk, local Cab company, the friendly Hostel employee that gets off work at 10pm). Now, you’re as prepared as can be to go out. Finally, you download the Official Guidebook from the Cape Town’s tourism website onto your phone, as it’s got loads of additional information, including the emergency numbers for Police, Ambulance, and Fire. These you save onto your phone. Due to either jet lag or having one-to-many of the local lagers and ales, you’ve just spilled a bunch of beer on the burly biker dude next to you at the bar. The question is, what can you do with the travel tech you’ve prepared earlier to get you out of this precarious situation? 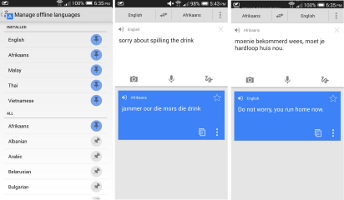 Look up how to say ‘Sorry about the spilled drink’ in Afrikaans using your Google Translation app? Take a quick snap of the angry looking biker and post it on facebook? Look up an exotic sounding drink from the 8500+ Drinks app and offer him a drink he cannot refuse? Apologize profusely, move away and look for a different bar in the Cape Town City Guide app? Call up your friend from the Hostel and have him apologize on your behalf? By taking the time to prepare your smartphone, you are giving yourself many ways to handle potentially difficult situations. 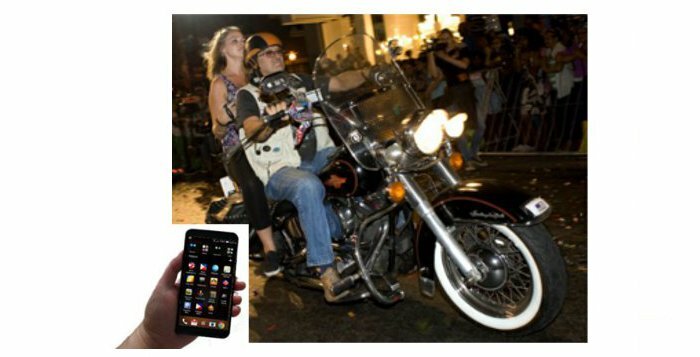 You may not ever need to use any of these apps during your time out to the bars or where ever you may end up. However, it’s that one time that it comes in handy that makes it worth the effort. Browse through the Destination Tech Guides and see if I’ve already done some of the homework for you- the countries in greater Asia should already be covered. The apps and techniques described in this post will not necessarily guarantee a positive outcome. 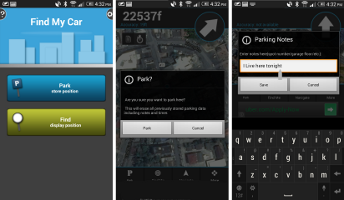 Some of the mentioned apps require a mobile connection, mobile internet, and gps to function properly. It’s not advisable to go out drinking the first night in a foreign country, especially if you are jet-lagged. Cape Town was recently voted one of the most friendly cities in the world so you may have to look hard to find burly bikers there!